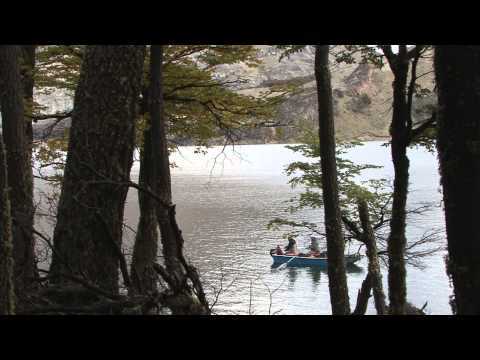 If you are a fishing fanatic, the Las Torres Lake National Reserve is the place to visit. With a unique beauty, the Reserve offers a combination of comfortable amenities and beautiful environment; critical factors to inspire your search for the perfect trout. The rest is up to you! 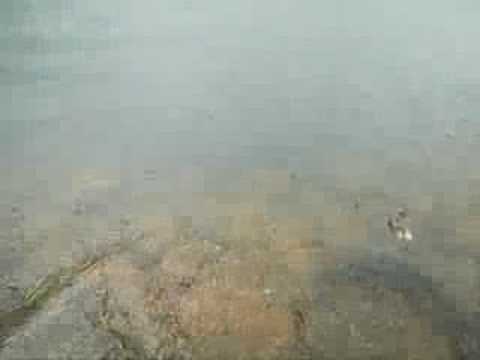 Activity Type: Recreational Fishing in Los Torres Lake. Distance: The activity takes place in the lakes, rivers and estuaries of the area, in a radius of approximately 20 Km. Duration: 1 day or more. Seasonality: Open year round; fishing during the season which extends between November and April. Special Considerations: You need to purchase a fishing license (www.sernapesca.cl) and inform yourself about regulations and how to prevent the spread of Didymo, a highly invasive algae which has contaminated rivers throughout the world, including in Aysén (www.didymo.cl). Reservations: You do not need reservations to visit the Reserve, but it is advisable to book accommodations in advance. Lago Las Torres Lodge - Carretera Austral Km 130; (064) 2232514; (09) 98222685 - 81760221 - 81760709 - 81760221; jlgalvez@lagolastorres.cl; www.lagolastorres.cl. Hostal y Residencial Las Bandurrias - Carretera Austral Km 132; dopifi@hotmail.com. Hostal y Residencial El Encanto - Plaza Passage 3; (09) 91448662; hugomancillaopazo@hotmail.com. Hostal y Residencial El Indio - Carmen Arias 10; (067) 2215434; (09) 81680876 – 85078137; mari_amengual@hotmail.com. Hospedaje El Paso - Carmen Arias 12; (067) 2215413; idabulher@hotmail.com. Hospedaje El Michay - Carmen Arias 14; (067) 2215425; cafeteriaelmichay@gmail.com. Hostal y Residencial Las Lumas - Camino Austral, 8 Km north of the village; (09) 95103087. The Las Torres Lake National Reserve was created in 1982, although in its early years it was nothing more than a resting point for horseback travelers making their way through Cisnes Medio, as this sector was known. In the years that followed, Conaf installed a Ranger Cabin, fencing, and a dock, and beautiful Las Torres Lake debuted and began to gain recognition and visits. It quickly caught on as a good spot for fly-fishing and catch-and-release values have kept a good population for fishermen who visit its shores and waters today. The natural setting of the lake will captivate you immediately. Jagged snowy peaks jet up around you year round, giving birth to the tributaries of the Torres, Santa Andrea and Tobiana estuaries and the Cisnes Rodríguez y Picaflor Rivers. Add in the crystal clear waters of Los Torres Lake and you’ve got the ideal Reserve in which to spend a few days of good fishing. The lake has an area of approximately 330 hectares, with an abundance of large rainbow and brown trout. You can almost always find calm waters, as the mountains of the Pichacho and Torres chains enclose and protect the lake from the majority of Patagonian winds. One of the most special things about Lago Los Torres National Reserve is its location next to the Carretera Austral and the services it provides for fishermen, cyclists and other visitors. You will find small shelters for camping, where you can assemble your tent to the side or sleep inside. Each shelter is built in an attractive and rustic way with a large table where you can cook and eat, using your camping stove. There is also a grilling area, bathrooms with showers, a quincho, a small beach, a pier and guided boat excursions. If you prefer to sleep in a bed, Señora Mirta Arias, the manager of the area, offers both lodging and meals in her rural inn. She is an excellent cook so don’t hesitate to speak with her to coordinate breakfast, lunch, dinner or picnics. Touch the fish at little as possible. Holding it inside the water with as little pressure as possible, is your best option. Do not cover their gills with fingers or other objects. Use barbless hooks; they are easier to remove, and can easily be made by clamping the barbs with a set of pliers. Don’t pull or force the hook, if it is tough remove, cut the line near the mouth of the fish. Return the fish to the water. If the fish has not yet recovered, allow fresh water to enter its mouth and exit below its guts, by placing it in front of the current. Let the fish swim away by its own means (don’t toss or otherwise propel it). Ten kilometers north along the Carretera Austral, you’ll encounter the tiny town of Villa Amengual. Here there are several small hospedajes and minimarkets, a local handicrafts cooperative and a picturesque church crafted with tejuelas (hand carved wooden shingles) in the style of the famous churches of Chiloé. This church is very significant for the people of Villa Amengual. They built both the building and all of its furniture themselves, working together as a community, with the support of Father Antonio Ronchi, a missionary who worked in Aysén for close to 30 years, helping local communities to lower the barriers of isolation and poverty. Since the beginning of the twentieth century, the Río Cisnes Estancia has provided jobs and opportunities for the settlers of Villa La Tapera and Alto Río Cisnes. Travel this scenic route to visit this historic estancia. Have you tried tortas fritas with pebre yet? Tortas fritas are the Patagonian version of Sopaipillas, doughnuts or beignets, and have been a staple in this area since the time of the pioneers. Here?s your chance to learn how to make them.